Location: To the south of the village of Brymbo in a steep sided valley that has since closure been infilled and by 2011 was part of a land reclamation scheme. Present state: Demolished and site is lost under thousands of tons of tipped material. Notes: Brymbo was the northern terminus station of the Wrexham, Mold & Connahs Quay Railways (WM&CQR) Brymbo branch which ran from a junction (known as Brymbo Junction) with the company’s main line just to the north of Rhosddu to Brymbo. The main line had opened from Wrexham to Buckley on 1st May 1866. 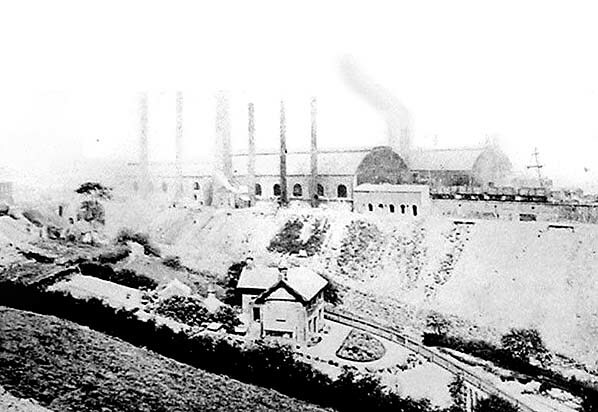 Brymbo was a well established industrial centre for the metal industry by the time the WM&CQR main line was opened and, surrounding the town, there were many collieries. The first railway to reach Brymbo had opened in 1847, but its course followed gradients too steep for locomotives to tackle. Rope-hauled ‘inclined planes’ were required to move materials up and down the valley. 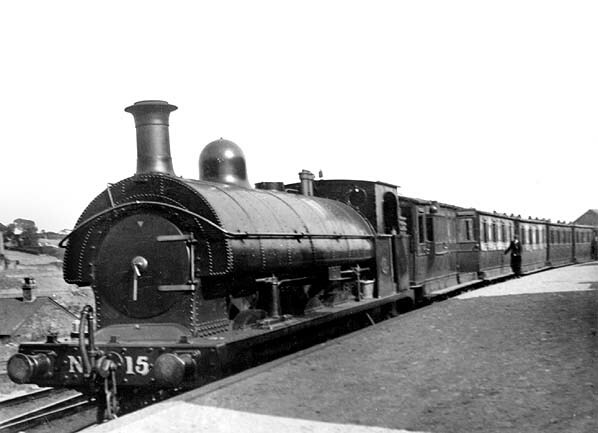 The GWR opened a branch to Brymbo from Cross Newydd in 1862 on a route that locomotives could work. It was with this route that the WM&CQR wanted to compete. It was not until 18th August 1882 that the WM&CQR obtained a Bill to construct its line to Brymbo, and it took six years to build, opening to goods services in 1888. Brymbo station opened on 1st August 1889. The Brymbo Branch was single-track, so the station was provided with just one platform on the west side of the line. The line continued for a short distance to the north, and a run around loop was provided. The main station building was a single-storey yellow brick built structure located towards the northern end of the platform. Yellow brick was produced locally, and it was used at other stations on WM&CQR network. The station building contained the usual booking facilities, waiting rooms and WCs for both sexes. South of the station a signal box stood on the west side of the line, and a goods shed to the east. The station lay at the bottom of a steep-sided valley below the village of Brymbo and could be reached only by walking down steeply graded roads and paths. At the time of opening though there was some residential settlement east of the station site. The WM&CQR had originally built the line to Brymbo to serve local industries and, even at the time of opening, the station was overshadowed by large works which stood on the surrounding higher ground. A short distance to the east of the WM&CQR Brymbo station was the GWR station of the same name. It was also linked to Wrexham, to the GWR Wrexham General Station. The GWR had introduced a passenger service onto their line in May 1882,and the opening of the WM&CQR brought about intense competition. The first passenger train from Brymbo departed for Wrexham Central at 8.00am on the day of opening. A smartly turned-out engine, wearing a fresh coat of paint, hauled five coaches on the first run. The first timetable had four departures and four arrivals on weekdays, the trains running between Brymbo and Wrexham Central. Two additional services ran in each direction on Saturdays. In 1891 there were still four trains in each direction but there were extra services on Mondays and Saturdays. The Saturday service included six extra trains to Wrexham Central with eight return workings, the last leaving Wrexham Central for Brymbo at 10.05 pm. The service proved very popular with Brymbo residents who travelled into Wrexham for shopping trips and, particularly on Saturday afternoons, to visit the pubs of the town. So popular were the Saturday evening trips to Wrexham that a policeman had to be deployed at Wrexham Central station to ensure that the drunken crowds boarded the Brymbo-bound trains and thereby got out of Wrexham. Interestingly the GWR did not cater for this traffic as its services from Brymbo to Wrexham General finished earlier in the evening. It is known that the revellers treated the WM&CQR coaches somewhat roughly, so it is likely that the GWR deliberately avoided carrying the traffic. In 1900 the timetable remained similar to that of 1891. On 1st January 1905 Brymbo Station became part of the Great Central Railway (GCR). 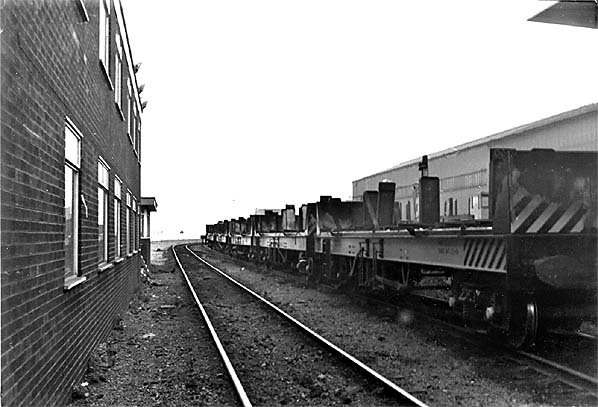 The GCR had embroiled the WM&CQR in a scheme that brought about the construction of a line from Shotton to Bidston where a connection was made with the Wirral Railway (WR) thereby providing access to the lucrative docks at Birkenhead. The scheme had stretched the WM&CQR to bankruptcy, and the GCR took full advantage of the situation. Services continued to run between Brymbo and Wrexham Central much as they had done in WM&CQR days, but additional halts were opened on the branch by the GCR at Highfield Road and at New Broughton Road. In 1905 the GWR improved its Brymbo service by introducing a ‘railmotor’ and extending its passenger service to Coed Poeth. One result of the extension of their service was the opening of a new halt in the centre of Brymbo village. Called Brymbo West Crossing Halt it avoided the need for a long walk up or down a steep hill and, as a result, it became the station of choice for the Brymbo inhabitants. The GCR also introduced a ‘railmotor’ but it could not compensate for the inconvenient location of the Brymbo GCR station. Also towards the end of the decade motor bus competition began to further erode the GCR’s passenger traffic. On 1st March 1917 the GCR withdrew the passenger service from Brymbo to Wrexham Central, and Brymbo station closed to the passengers. The original purpose of the branch had been to carry goods and it had always had more goods than passenger trains; it therefore remained lucrative to the GCR. As goods trains had to come up to Brymbo station before they could reverse onto the branch line that connected into the various works and mines, it remained a busy location. On 1st January 1923 Brymbo became part of the London & North Eastern Railway (LNER). 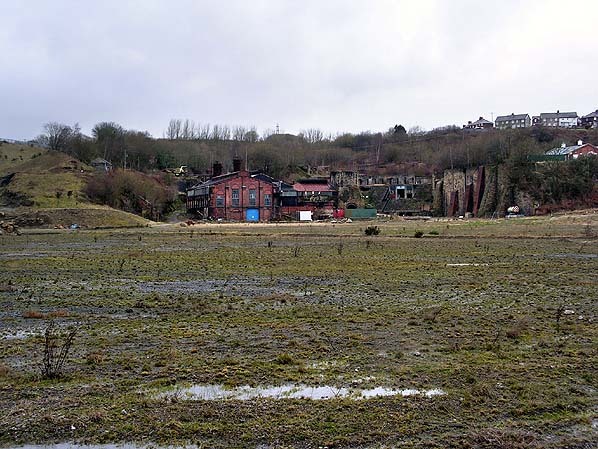 The station became increasingly hemmed-in by massive banks of spoil on which further industrial buildings that formed part of the Brymbo Steelworks were constructed. During the Second World War a German Bomb, intended for the steel works, fell on the station causing much destruction. On 1st January 1948 the former WM&CQR station at Brymbo became part of the British Railways (Western Region). In October 1954 British Railways installed a new connection from the former GWR line to the former GCR at Plas Power; this allowed the section of the Brymbo Branch between Plas Power and Brymbo Junction North Fork to close, and the station was therefore severed from the original route into Wrexham Central. Goods trains serving the Brymbo steelworks continued to operate through the station site, but they used the former GWR route as far as Plas Power before taking the 1954 connection. From 19th June 1958 British Railways stopped using the line as a means of accessing the steelworks, routing trains along the GWR branch instead. On 1st March 1965 the trains reverted to using the route through Brymbo WM&CQR station, but this final section of the WM&CQR Brymbo closed on 5th October 1970. Rail movements into the steelworks complex continued via the ex-GWR line until 1st October 1982. After 1970 the site of Brymbo WM&CQR station was lost under spoil from the steelworks which itself closed in 1991. During the late 1990s a major land restoration project was carried out on the spoil tips. Route map drawn by Alan Young, Bradshaw from Chris Hind. Looking into the valley in which Brymbo Station was located. The northern end of the station is in the bottom right corner of the picture. Brymbo steel works overlooks the station. 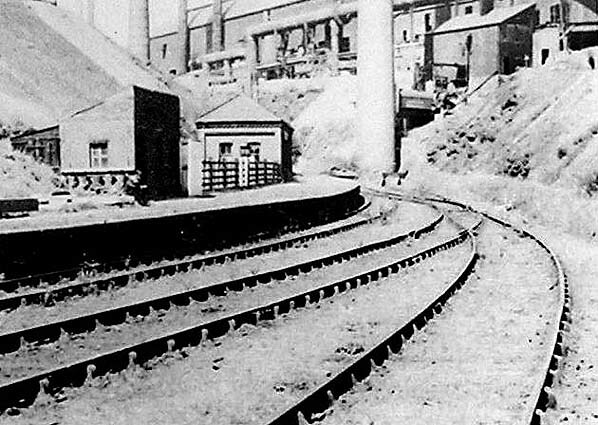 Looking north at Brymbo station towards the buffer stops in 1935. Despite the station's closure 15 years earlier its name board can still be seen. Although in October 1981 there was railway track at the site of Brymbo WM&CQR station it was not on the original alignment. The actual site of the station lay buried beneath the photographer’s feet under thousands of tons of spoil. This view was taken inside the steel works that had expanded onto the made-up ground. A February 2011 view looking north from the approximate site of Brymbo WM&CQR station, which would have been up to 50 metres beneath the photographer’s feet.